Namaste! from Philly. One of things that I love about this city is the the sense of community. Philadelphians (at least, the ones I hang with), want to network, exchange ideas and work together to succeed. The culture of support for fellow creative entrepreneurs like musicians, artists, photographers, stylists, designers etc is wonderful. Many want to contribute to the growth of the city, see it succeed and put the city on the map for it’s good work. This sense of community is what attracted me to the launch of the Philadelphia Fashion Alliance. 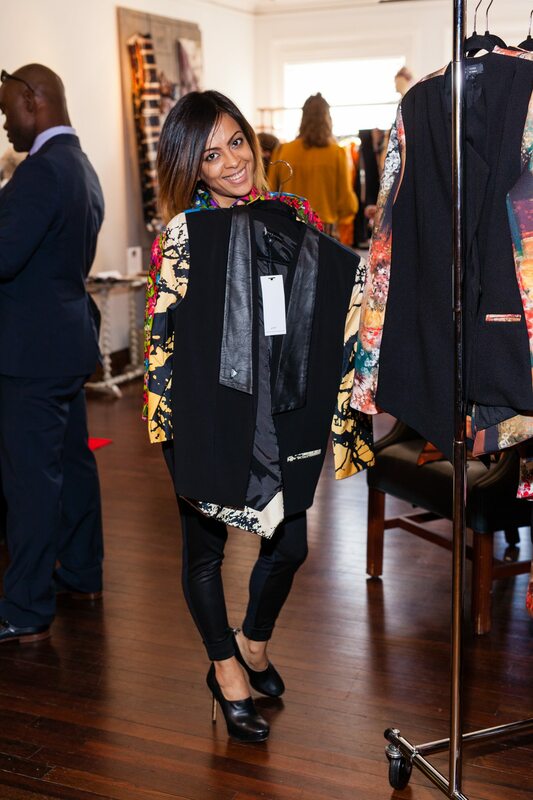 Nine local designers, all participants of the Philadelphia Fashion Incubator – a yearlong training program, teamed up to form the ‘Philadelphia Fashion Alliance’. These designers teamed up to support each other and invest in themselves & the design community of Philadelphia. The Sunday event was a great opportunity to interact with designers, see their outfits in a casual environment, shop fall must haves and dig into delicious cupcakes and sip mimosas! Considering the high turn out, I’d deem this launch a success. I met some very talented designers at this event. I’m excited to follow the progress of the Philadelphia Fashion Alliance & look forward to bringing you some styling posts with these very talented ladies. It’s obvious, my love for bohemia would draw me first to this Melissa Choi and Pia Panaligan’s collection. 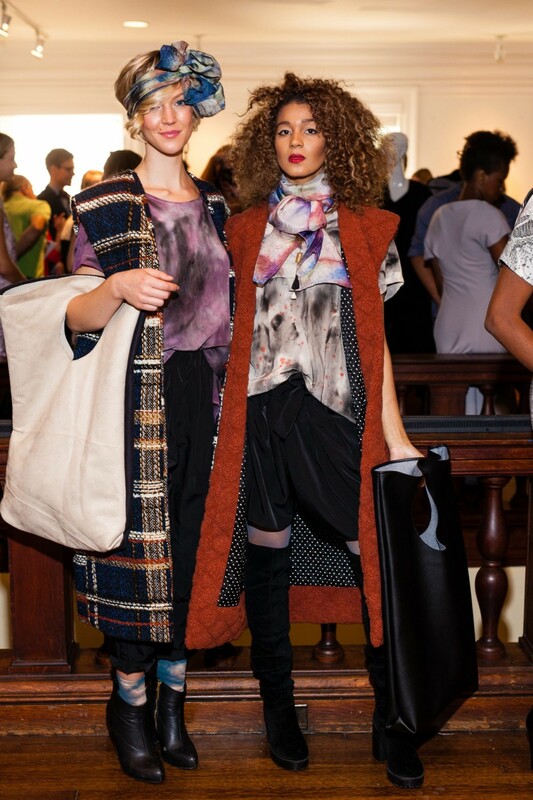 The earthy fabrics, tie & dye like scarves, oversized totes and easy silhouettes are a perfect pick for fall. The totes are priced at $75 & the outfits can go up to $500. 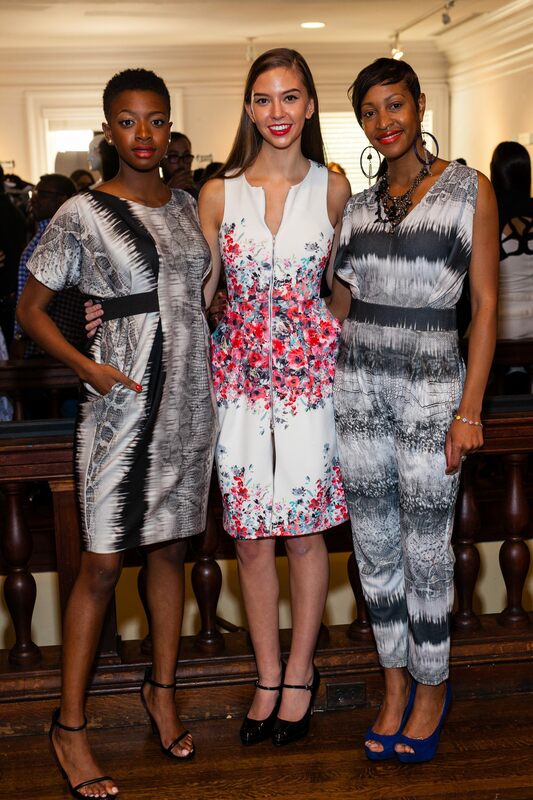 A label by designer Terese Brown, showcased a wonderful spring 2016 collection of dresses, blazers & leggings. My personal favorites were the tuxedo cut, printed blazers that work perfectly from work to the bar. The blazers are priced up to $ 495. Her models twirled around in organza skirts, perfectly portraying the whimsical silhouettes and vintage references in her collection. Added to this, the diverse textures(organza, leather and brocade) & modern florals make her separates a perfect addition to a chic wardrobe. Prices start from $150. Don’t forget to take a look at their collections online to know where to buy. All pictures courtesy: Mikhail Vetter. Come back later this week for an exciting collaboration with Mikhail!.